If you’re interested in the technology scene or startups at all, you’re probably already part of the Hacker News community as well as Reddit and many other networks for following along the movers and shakers in the industry. A new entrant, Product Hunt, is rapidly gaining traction online as it grows its community of entrepreneurs and its members share and discuss interesting apps and services. 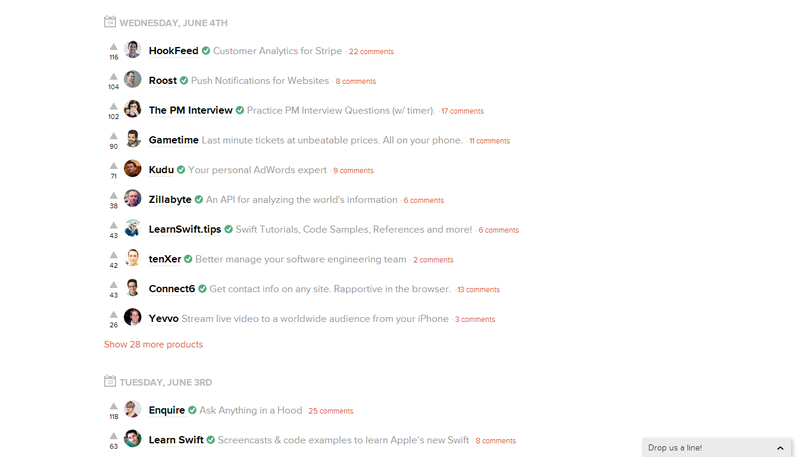 Product Hunt is essentially a mashup of Reddit, Hacker News and a startup-focused newsletter. The service helps surface discussions about startups in the industry among notable industry investors, entrepreneurs, journalists and more. We talked with Ryan Hoover (pictured right), who is the founder of Product Hunt, about where the idea came from and how he got started with the service. What gave you the idea for Product Hunt? Products are watercooler conversation, especially in the startup community. I wanted a place to have these conversations online, to share and talk about new products with fellow enthusiasts. How did you go about building the site and community? 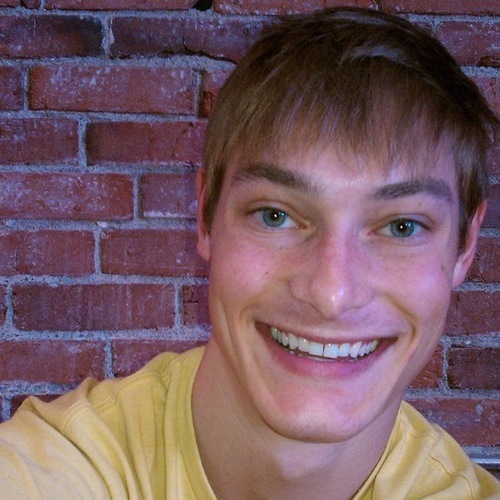 The first version of Product Hunt was a simple email list. I wanted to create something quickly without investing much time or money to discover if anyone else cared. So I used a service called Linky Dink and invited a few dozen startup friends to contribute new products to the daily digest. It took only 20 minutes to set up. Shortly after sharing it on Twitter and Quibb, a few hundred people subscribed. That was encouraging but nothing to call my mom about. What really inspired me to take it further was the feedback I received from several people telling me how much they enjoyed the Product Hunt email every day. With that feedback, I reached out to Nathan Bashaw, a friend of mine, and over Thanksgiving break he built the first version of the site. But we knew the hard part would be to build an engaged community so we involved early adopters in the design process itself, sharing mockups and soliciting feedback. Shortly after our private beta, Carmel DeAmicis covered Product Hunt on Pando and later I shared its story on FastCo and other outlets to drive attention and excitement. Early growth was entirely unscalable. I sent a ton of emails, reaching out to people that I knew would be good contributors and kindly asking active users to invite their product-loving friends. It was important to seed the community with the right people and from there, others spread the word. Do you spend all of your time working on Product Hunt? What does a day look like for you? You can imagine Product Hunt going in several different directions, as some have speculated. Will it become a review site for products? Search engine for products? Tool for VC’s to source deals? News and media site? In part, Product Hunt dabbles in all these areas but at its core it’s about community and product discovery. It’s never been easier to build products today and several rad creations launch every day yet distribution remains a massive challenge, especially for the “little guy” that doesn’t have access to press, an existing user base, or funding to buy attention. Product Hunt can help empower product builders to find an audience and connect directly with consumers by answering questions and telling their story. Where do you think Product Hunt provides the most value to visitors? Products influence what we do and how we think. Product Hunt is a firehose of new creations and while most discoveries won’t be used regularly, if at all, a single product can have a transformative impact on one’s personal or professional life. Product Hunt also informs and inspires. A friend of mine once described Product Hunt as the Dribbble for product people, a site to learn and be inspired by others’ creations. It also helps curb the FOMO (fear of missing out) effect, giving visitors a quick feed of new products they can intelligently reference in their next watercooler conversation. For product builders, the value is clear. They get attention, feedback, and in some cases funding through a community of connected, smart startup folks. Have you got any stories about Product Hunt changing the world? I get pumped every time I hear stories about how Product Hunt has helped product builders. Several founders have written about their experience being featured on the site (e.g. The Incredible Power of Product Hunt, How we generated $13k of sales in 24hrs through Product Hunt, What is the Product Hunt Effect?). My favorite example is of a 17-year-old developer in the Netherlands named Joost. His product, Notifyr, an app to receive iOS push notifications on the Mac, was posted on Product Hunt, becoming the most upvoted product. It even inspired a TechCrunch article after writer, Romain Dillet, discovered it through the site. Product Hunt doesn’t just drive attention — it has also helped give entrepreneurs access to capital. Hundreds of VC’s read the email digest and visit the site each day. They do so for fun but also to source potential deals. SV Angel recently invested in Taptalk after discovering the new photo/video-communication app on Product Hunt. They’re not the only ones reaching out to founders featured on the site. I know of multiple other investors in the process of closing deals discovered through Product Hunt. What are your future plans for Product Hunt? Product Hunt started as an innocent side project but is already having a meaningful influence within the startup community, scooping product launches and in some cases driving more traffic than TechCrunch. In the short term we are making changes to the product to facilitate better conversation, scale the community so that more people can participate (less than 2% of monthly visitors can post products), and grow the subscriber base. Longer term, I believe Product Hunt will become the launchpad for products, a community where product builders of all kinds — from bootstrapped individuals to VC-backed startups — can get the attention they deserve and directly communicate with consumers.